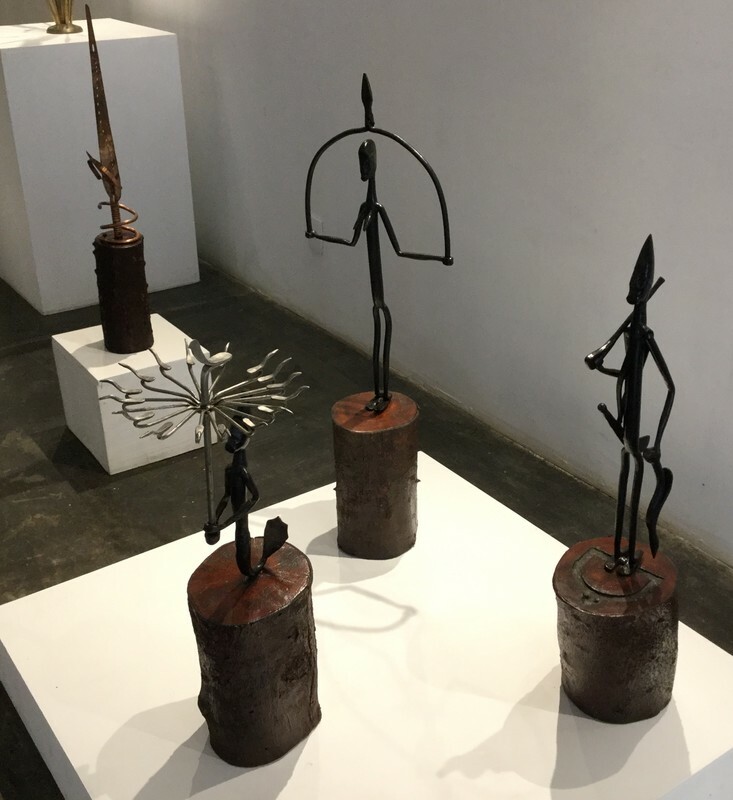 Yemanja - Osun: Yemanja - cut and turned steel, wood base; 90cm; 2016. 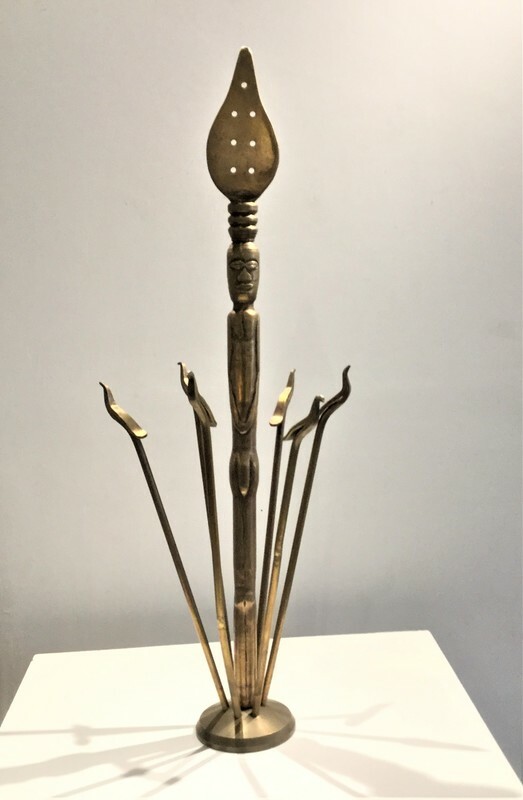 Osun - cut and turned brass, wood base; 97cm; 2016. 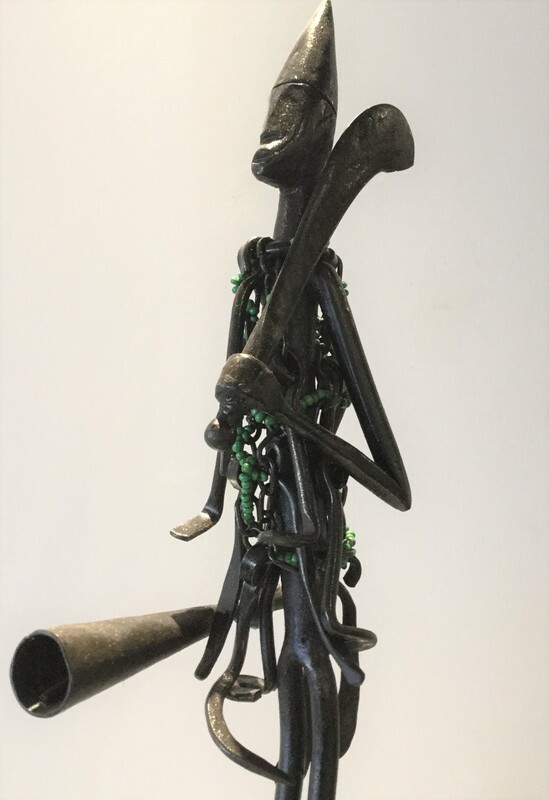 Iyewa - Erinle - Oso Si - Ode: Iyewa - cut and turned copper, wood base; 84cm; 2016. 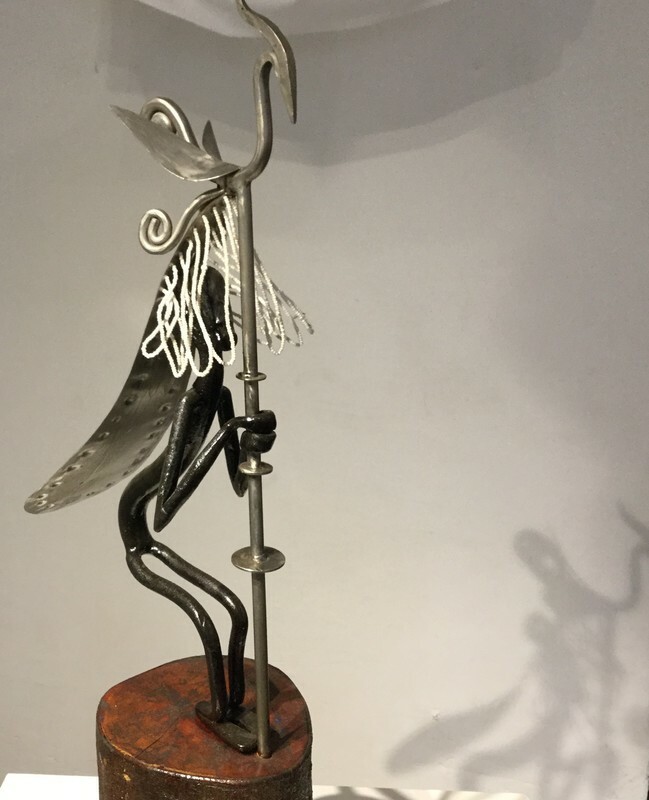 Erinle - forged iron and steel, wood base; 70cm; 2016. 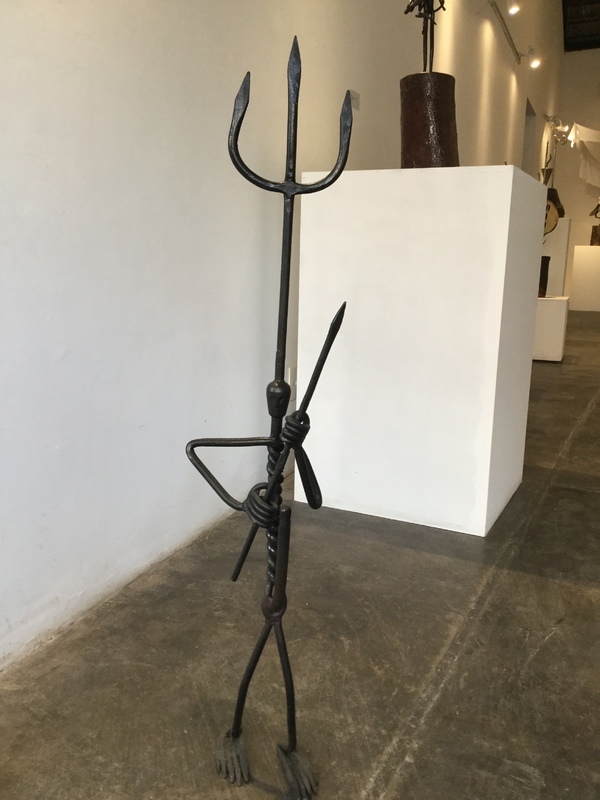 Oso Si - forged iron, wood base; 92cm; 2016. 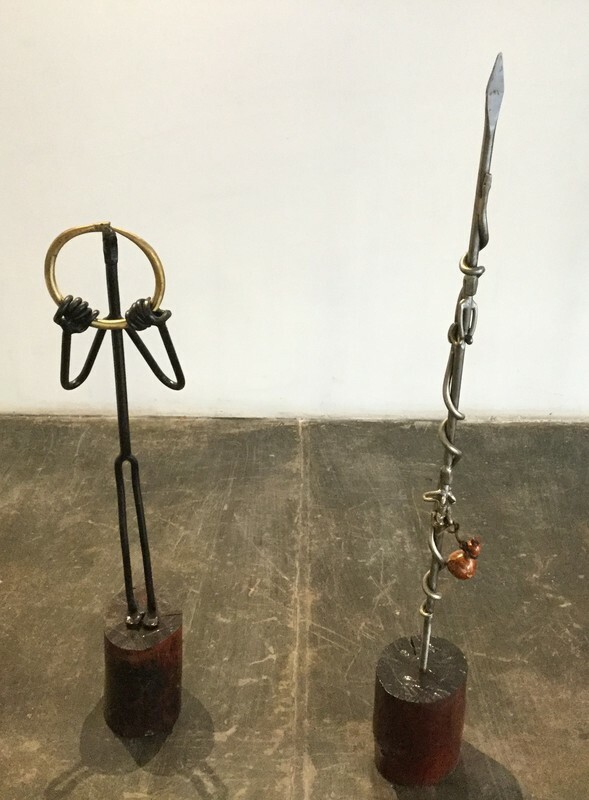 Ode - forged iron, wood base; 78cm; 2016. 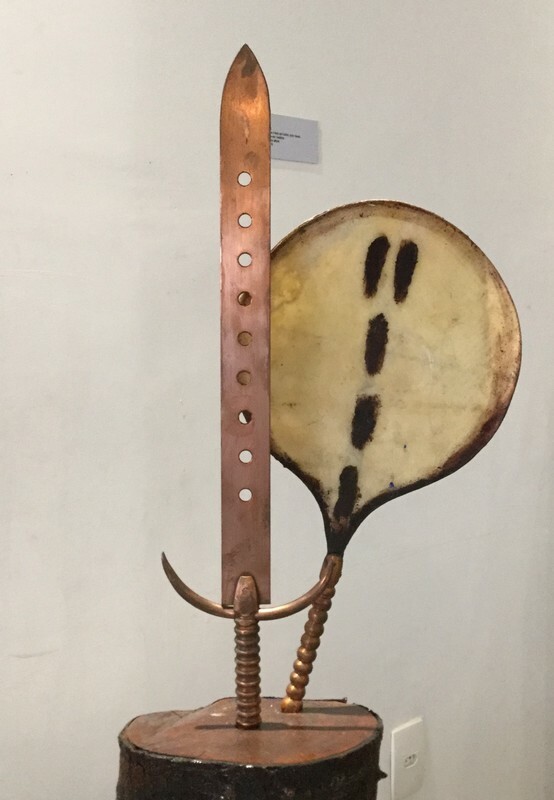 Osumare - Obaluaiye: Osumare - forged iron and copper, gourd, wood base; 92cm; 2005. 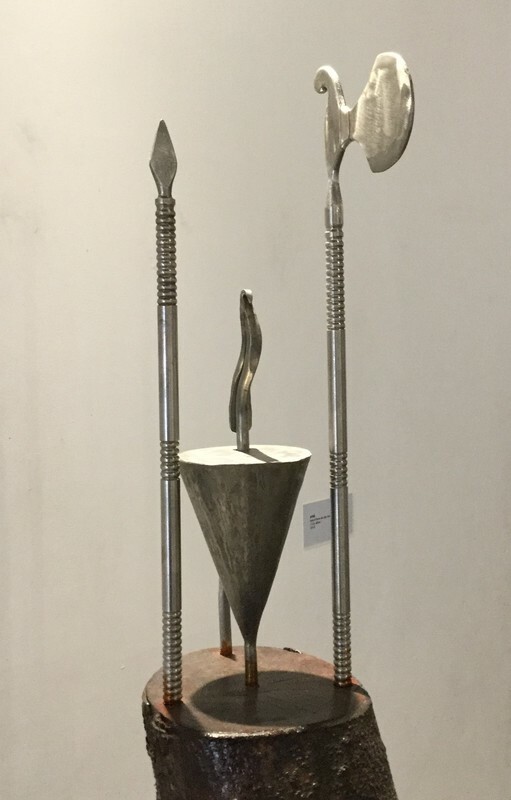 Obaluaiye - forged steel and iron, gourd, wood base; 114cm; 2017. 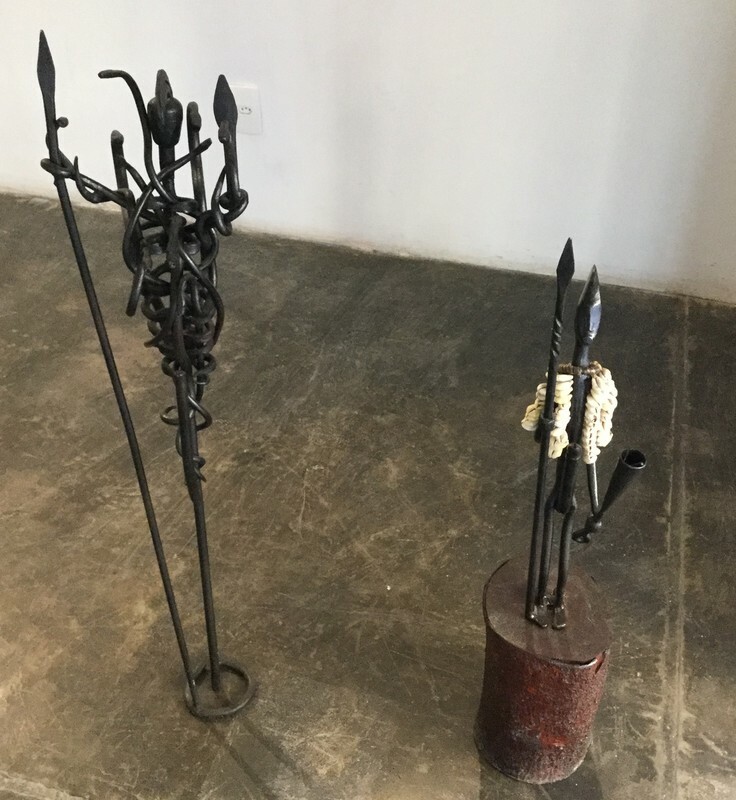 Esu (with Osumare) - Esu: Esu (with Osumare) - forged iron, wood base; 82cm; 2004. 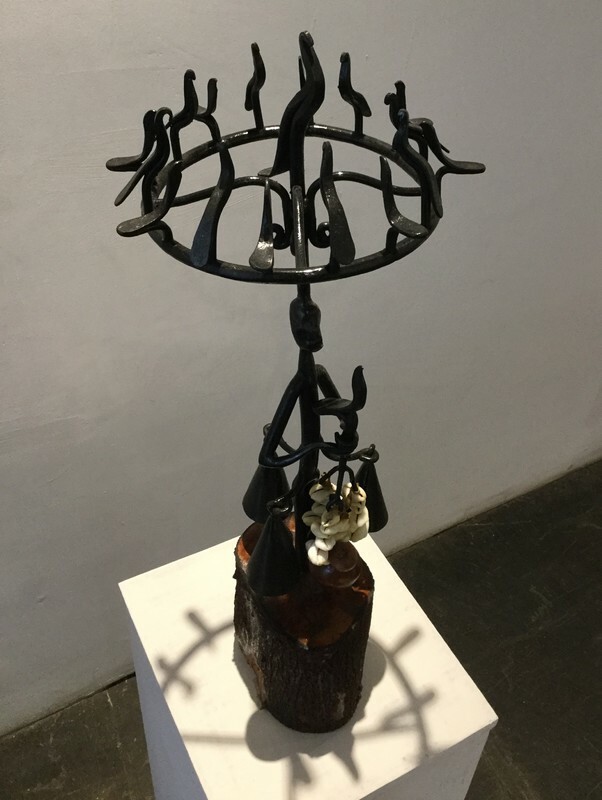 Esu - forged iron, beads, wood base; 85cm; 2016. 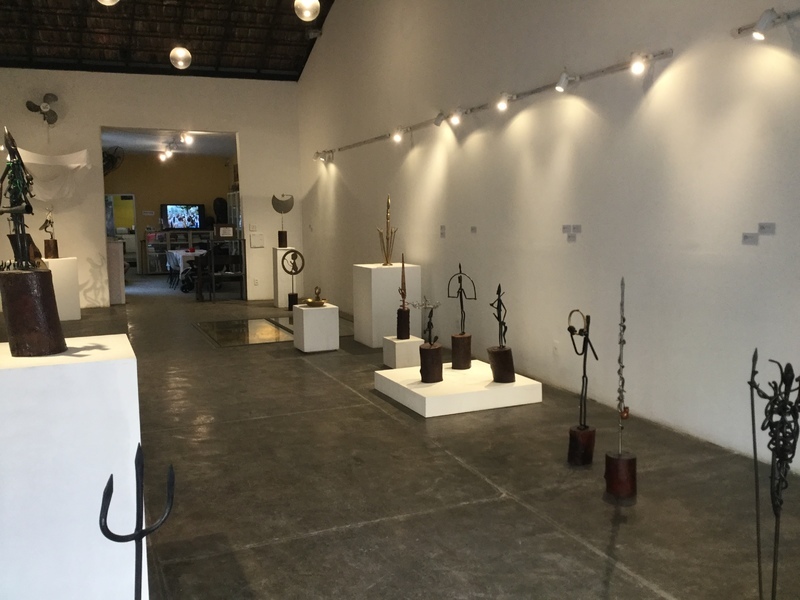 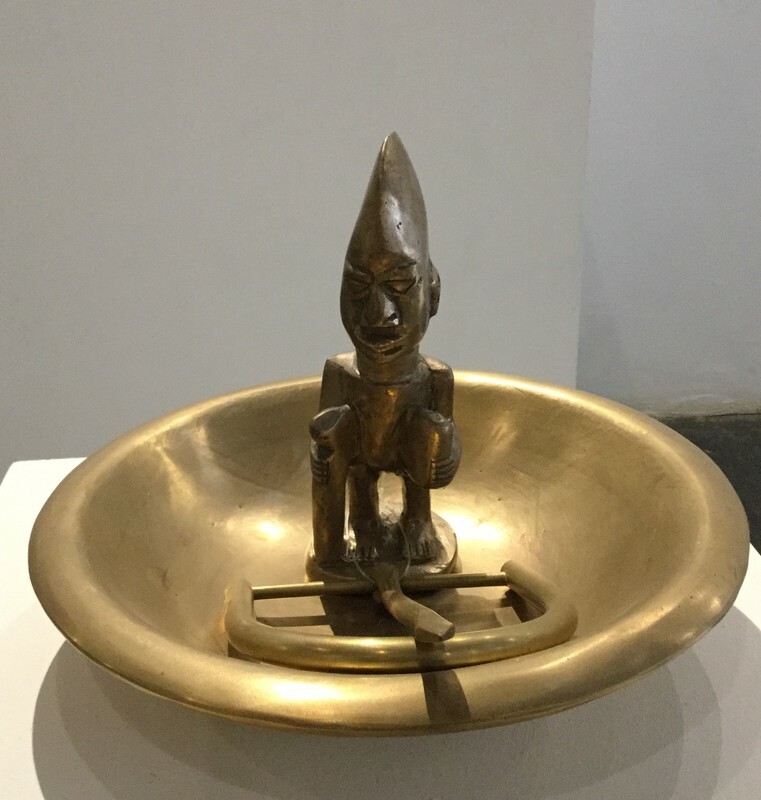 Sadakne Baroudi, “Àwon Ìrun Ìmólè,” Afro-Rio Walking Tour, accessed April 21, 2019, https://www.afroriowalkingtour.com/items/show/25. 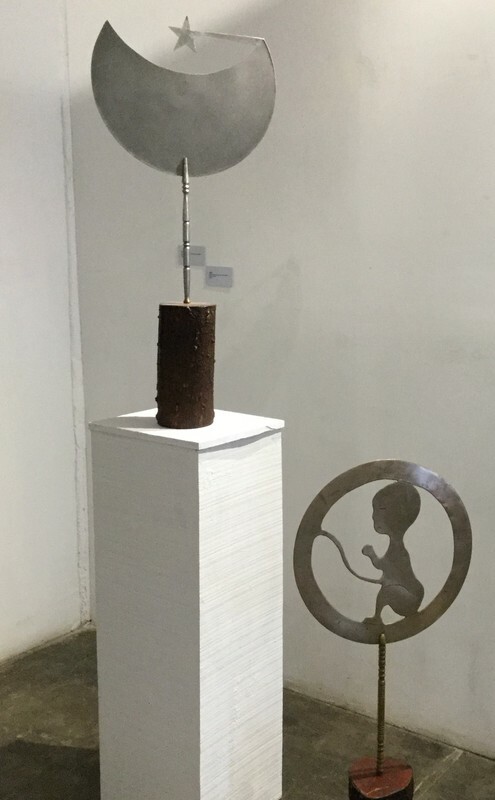 This work is licensed by Sadakne Baroudi ©2012-2019 under a Creative Commons Attribution 4.0 International License.